A week ago, I wrote an article reflecting on the Everest tragedy of 2014. Today, another tragedy has struck that region. At 11:56 local time, a massive 7.8 magnitude earthquake shook Nepal and the surrounding region. At this time, over 1800 people have been confirmed as dead. 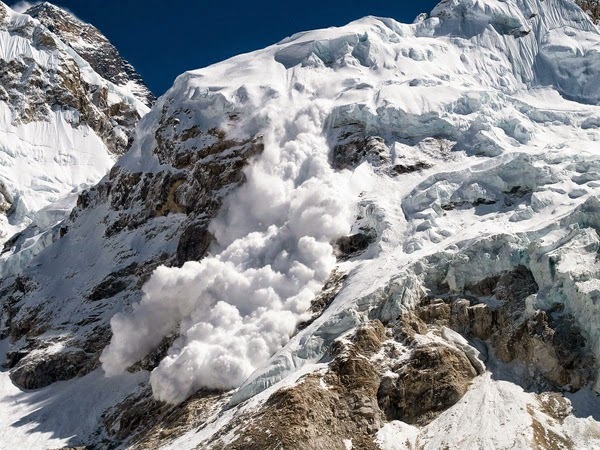 An avalanche was triggered on Everest, killing 13 people at the South Base Camp. Many others were injured and stranded elsewhere on the mountain. In last week's article, I mentioned that two fellow mountain enthusiasts out of Colorado are on the mountain: Alan Arnette [alanarnette.com] and Jon Kedrowski [jonkeverest.org]. Both Alan and Jon were near when the earthquake and avalanche occurred. They (and another Colorado climber, as well) are OK, but stranded. I'm confident that they'll soon find a safe route down the mountain. Should it be necessary I'll update this blog article. For now, I simply wanted to take this moment to acknowledge this recent event in the region and address the information so fresh after the last article. Climbing comes with inherent risk, some can be planned and managed, others are complete unpredictable and sometimes unknown. As I said in the article written for my friend Chris: Those of us that love and seek out the beauty of this wonderful universe know in our hearts that there is both risk and reward when we set out on the adventures that fulfill us. I'm saddened for the many many people affected by the earthquake today and for those whose friends and family have died today, not only the climbers but throughout the region. I'm glad that Alan and Jon are doing OK, but there are others who are not. I lost my friend Chris a little over a month ago, so many lives of so many friends of others have been lost today. For more details on the quake itself, I'd like to direct you to the related article on Wikipedia. For more details on the Colorado climbers, start here with a news article.